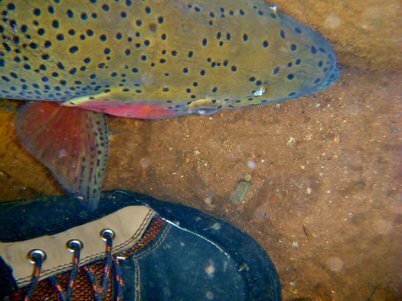 As a pending non-profit in southwest Colorado we recognize the limited resource we have in our waters and strive to improve our local fisheries by working with landowners, clients, guides, news media, and land management agencies to help sustain aquatic habitat and to protect our irreplaceably awesome fisheries​. At Sacred Waters, besides our work restoring river habitat, we have a big spot in our hearts for helping veterans recover from the tribulations of war, as well as fostering a love for fishing and the outdoors in our youth. Rehab - One of our all-time favorite ways to give back is through supporting our United States Veterans! The therapeutic benefits of fishing should be enjoyed by everyone. We offer tailored guide services for these Veterans who need a little assistance to experience fishing our waters. For this reason, we support Pagosa Vets for Vets and Project Healing Waters locally and want to give back to support Veterans that have already given so much.